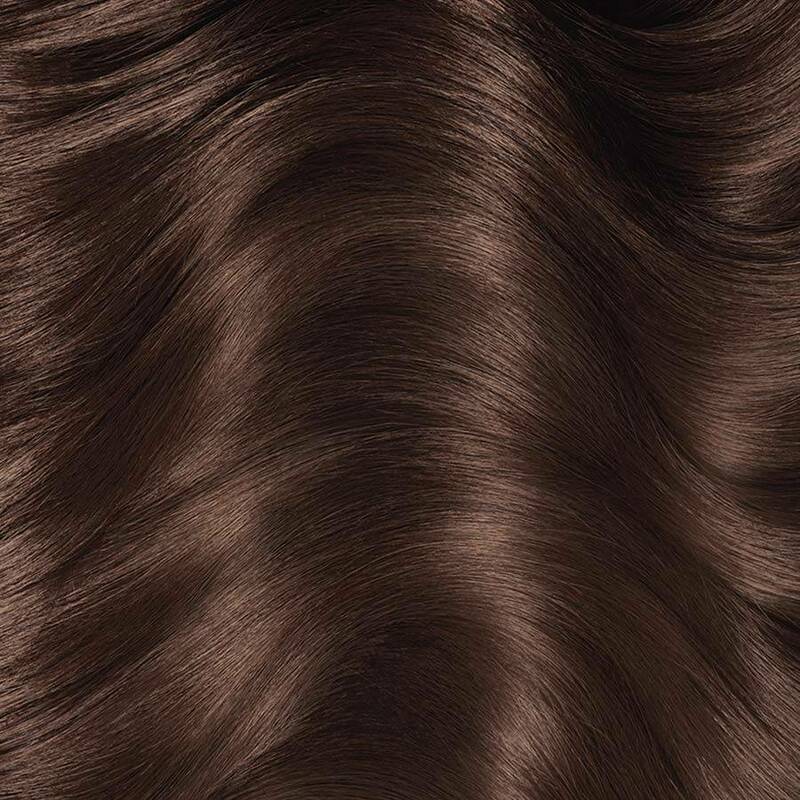 Rated 5 out of 5 by MedNatBrownColor from A pretty shade of brown I love this color! I feel so sensuous and mysterious. I love that it doesn't make my house stink too. It really covers my grays and the color lasts about 7 weeks until I have to touch it up. Rated 1 out of 5 by Jeanie from Color did not cover gray I had someone color my hair today with Garnier Olia 5.0 Medium Brown. I have some gray in the front & on the crown & it did not cover the gray at all; I'm very disappointed. I've used it before & it worked fine which is why I bought it again. I only bought the box of haircolor about a month ago. Rated 5 out of 5 by Krazee1006 from Easy to apply, rinsed quick and my hair is so soft This is the best hair color I've used at home. I normally pick a red color but decided to use my natural color this time. I loved that it didn't have an awful smell and it left my hair so smooth and soft when I was done rinsing and it covered my greys well. Rated 5 out of 5 by lucky123 from Great product I bought the Natural Medium Brown to cover gray and prior color mistakes... it worked great!!! Rated 5 out of 5 by Josh from The Best Bang for your Buck I was hesitant to purchase because it is so inexpensive, but I was so pleasantly surprised! 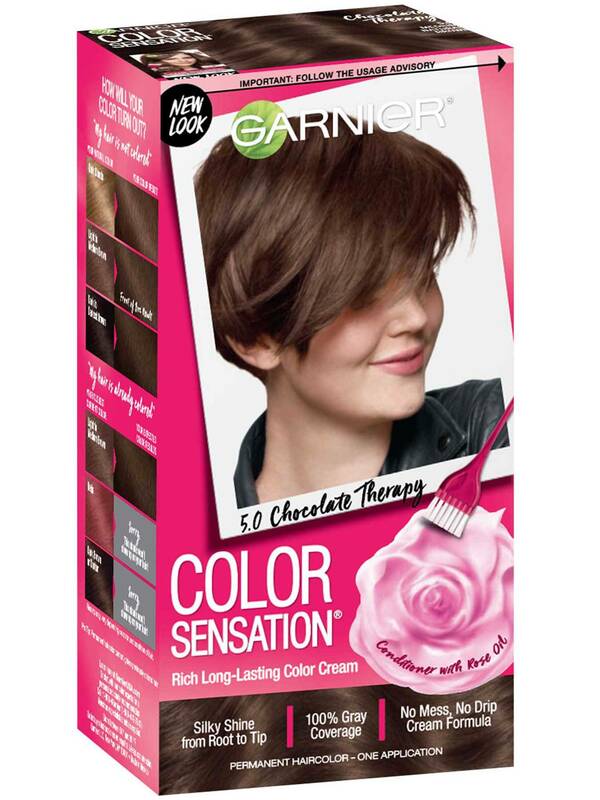 It's gentle, covers up any orange tones from previous hair color mistakes, and fades gracefully. Five star! Rated 5 out of 5 by Amart from Best I've ever used I bought this a couple weeks ago and was a little afraid to try it because it was so inexpensive. But I finally said what the heck and used it last week. I absolutely love this product. It's thicker than most and as a result a lot less messy; never drips. I really like the application brush that it comes with also. The color turned out perfect, i used the medium natural brown. But most importantly to me is the coverage for my gray. It really covered! I also feel like this product has left my hair in better condition after I colored than the other hair color products I've used. It feels healthy and soft, not dry and damaged. Rated 5 out of 5 by Deanne from Loved it This is a great product, it was super easy to use. I didn't have any problem at all applying this to my hair, and after I was finished my hair looked great, so shinny, healthy. I just really liked what this product did to my hair and for. My hair! Rated 5 out of 5 by Anonymous from I really loved how this coloring felt. it wasn't heavy or made my hair feel funny after the coloring. The shade was darker than I wanted though. I will def use a lighter color extra time.